Prawns can be cooked in almost every way that you might like – sauté, stir fry, deep fry, curry, baked – almost anything. Curry obviously is a major part of Indian Cuisine but wait a minute the onion tomato and spice curry is not the only curry that we do. There can hundreds of curry in made in numerous ways. So that’s what I tried here – bringing some distinct flavours from several parts of the country. ‘Posto’ or poppy seeds are used extensively throughout Bengali & Oriya cuisine it gives a very nice texture and a certain poppy hit. I have also used ‘char magaz’ which is a mix of dried almond, watermelon, pumpkin & cantaloupe seeds for the curry. It is mostly used in Rajasthani cuisine as well as in Bengali cuisine. So now you know Bengali food is not only fish & sweets!! It is served with yakhni rice, which is nothing but cooking rice in aromatic water than the regular water. Simple! In the same wok heat oil and add cumin seeds. 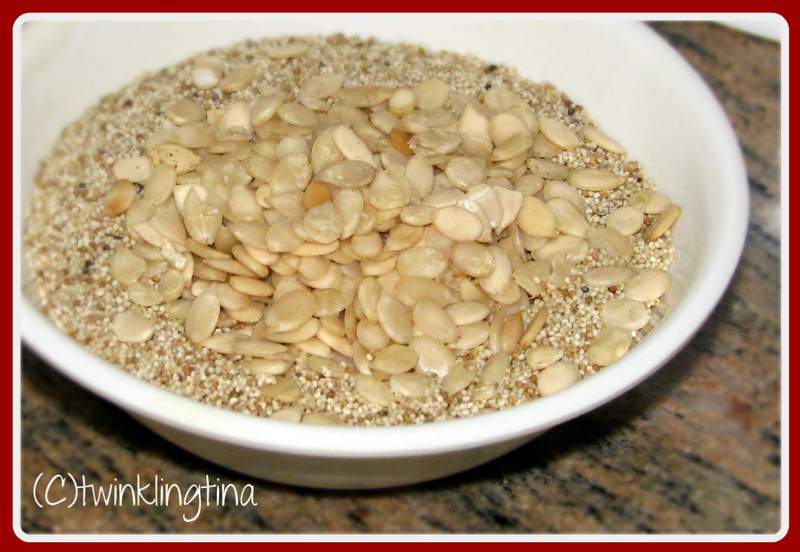 When it starts spluttering add the pureed mix of poppy seeds & char magaz and keep frying till oil separates. Add the coconut milk and simmer for another 5 mins. Add the fried prawns, cashew & raisin to the curry and simmer for 2 mins. And you are done with your prawn. Yakhni rice may sound complex but is very simple actually. 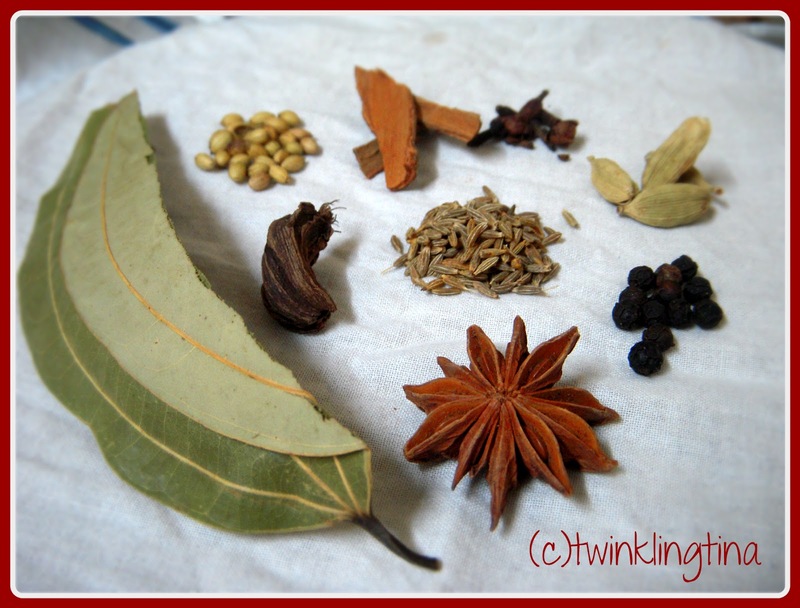 Take a muslin cloth, put all the dry whole spices and make a small parcel. Boil that parcel in water for 20 mins. 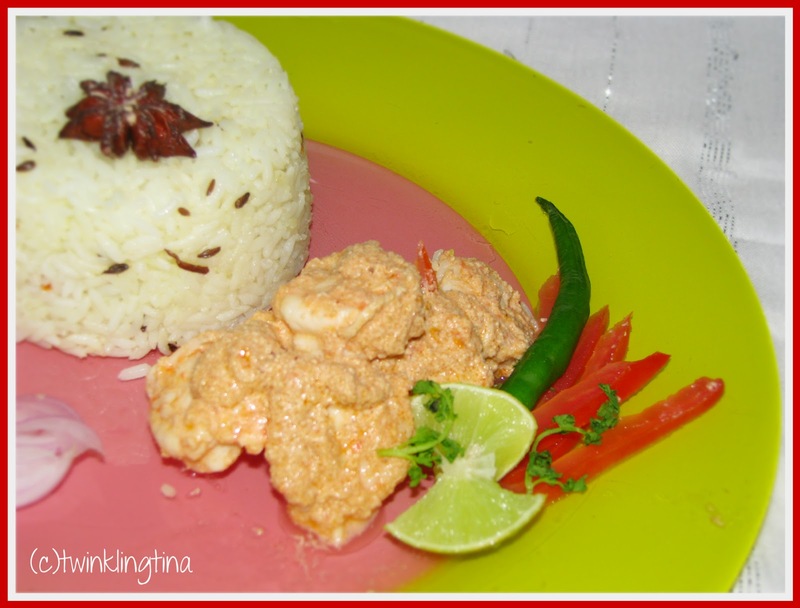 Garnish & serve the prawn with this aromatic rice.